Lawrence Sullivan has been nicknamed the "Joker" because of his facial tattoos, resembling Batman's nemesis as seen in the movie "The Dark Knight." The "Joker" has been arrested again. 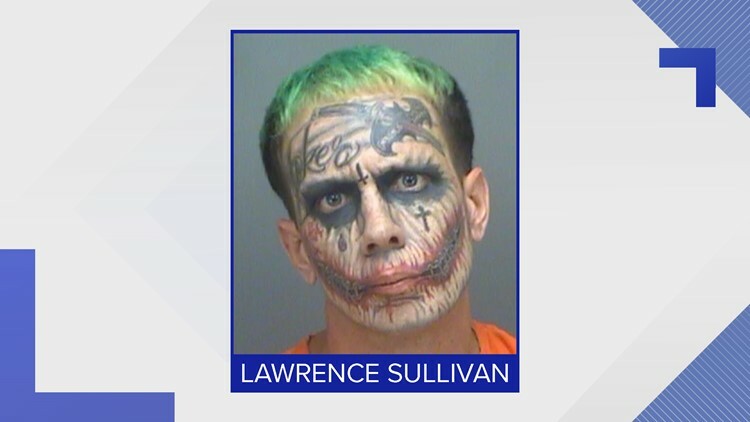 Sullivan, as one look at his mugshot will explain, has been nicknamed the "Joker" because of his facial tattoos, resembling Batman's nemesis as seen in the movie "The Dark Knight." Like his comic book counterpart, Sullivan has been arrested several times, according to jail records. He was arrested twice in 2017, once for marijuana possession and once for allegedly pointing a gun at passing cars.